Eldorado Resorts completed its $72.5 million acquisition of MGM Resorts International’s holdings in downtown Reno on Tuesday and did so without having to sell additional stock in the company. The transaction gave Eldorado ownership in Circus Circus Reno and the remaining half of the Silver Legacy. Eldorado, which already owned half of the Silver Legacy and the flagship Eldorado Resort, announced the deal with MGM in July. The company’s three Reno properties comprise almost 32 percent of the hotel rooms in the market. The hotel-casinos are connected via above-ground covered walkways and company officials said the properties would be operated as a single entity. In a statement, the company said the transaction was financed with cash on hand, cash from an escrow account established in July, and borrowings under the company’s revolving line of credit. Eldorado said it withdrew a registration statement for a proposed stock offering, which had been intended to pay a portion of the purchase price. Eldorado stock is traded on the Nasdaq. Carano told gaming regulators the transaction would diversify the company’s revenue stream. He said the Scioto Downs Racetrack Casino near Columbus, Ohio, will provide 32 percent of Eldorado’s annual revenue. The three Reno properties will account for 25 percent of the revenue stream. “We will not solely be tied to any one jurisdiction,” Carano said. Deutsche Bank gaming analyst Andrew Zarnett said the transaction made “strategic sense” for Eldorado. “We would anticipate that the cost synergies will result from the elimination of duplicative costs and strategic sourcing, while revenue synergies could be generated by incentivizing cross play,” Zarnett said. Carano said Eldorado wanted to take part in the economic boom being experienced in Reno. Gaming revenue in Reno is up 3.3 percent through September, which includes a 4.3 percent increase in slot machine revenue. Visitation to Washoe County is up 1.3 percent this year. Reed said the company’s Reno resorts would account for more than one-fourth of Eldorado’s annual cash flow. 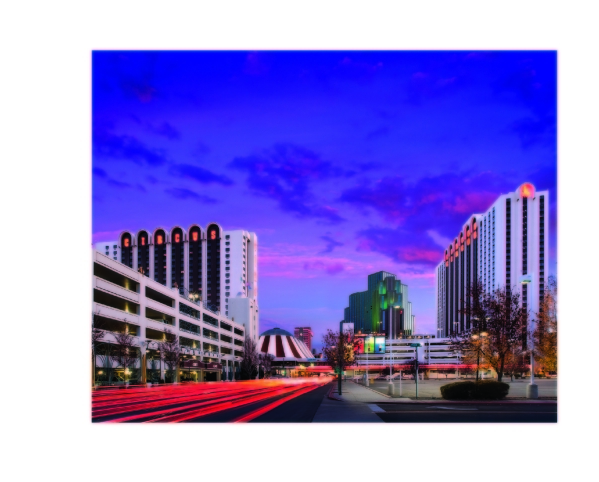 “We are very excited to welcome the Silver Legacy and Circus Circus Reno employees to the Eldorado family at a time when the Reno gaming market and the Northern Nevada economy is prospering,” Carano said in a statement.